This programme allows you to discover Spain first-hand, since you will be living with a Spanish host while serving as the family’s English tutor. You do not need a teaching certificate to participate. Your room and board is provided in exchange for 15 hours of English language tutoring per week, mostly on weekdays. While placements may be made throughout Spain, the majority of families live in or near Madrid. Teaching in China is a fantastic opportunity for students, high school graduates as well as professionals to reach for a world beyond their horizon. You will experience China first hand as an English teacher in schools and share the experiences life has taught you, while immersing into one of the worlds oldest and richest cultures. It is an adventure, a challenge, an investment in your future. China is the future and you can be a part of it. One opportunity for a better future for Brazil’s children lies in learning the English language, which can allow them access to several areas of employment. Teaching English as a volunteer in Brazil will give you a wonderful new perspective of this incredible country. 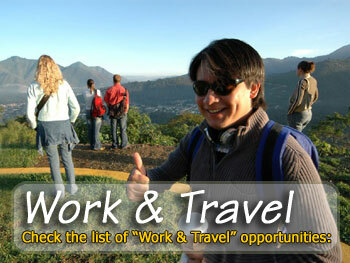 you will be living with a Brazilian host while serving as the family’s English tutor. You do not need a teaching certificate to participate. Your room and board is provided in exchange for 15 hours of English language tutoring per week, mostly on weekdays. You will make an important contribution, whatever your skills, by improving their language skills and giving them the confidence that comes from being able to communicate with a native speaker.